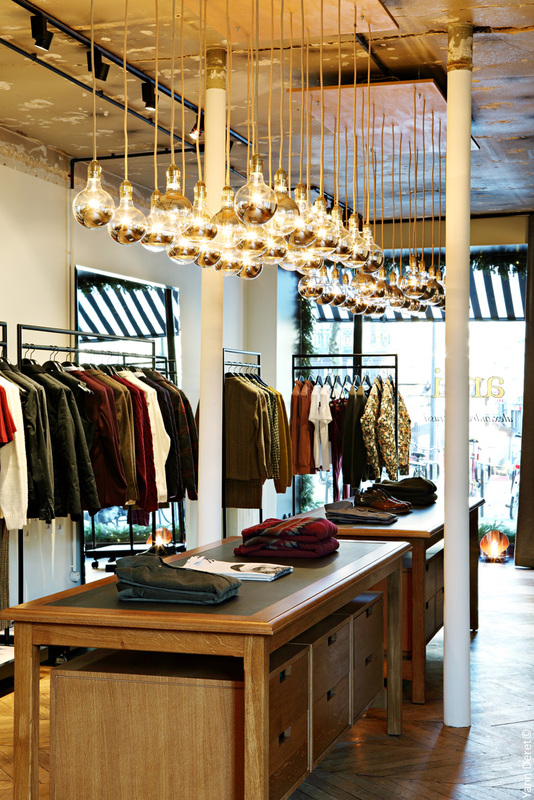 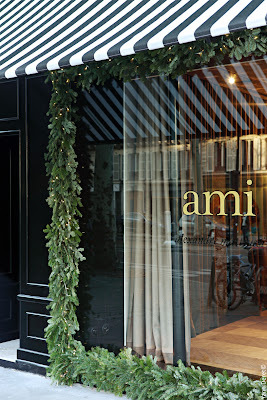 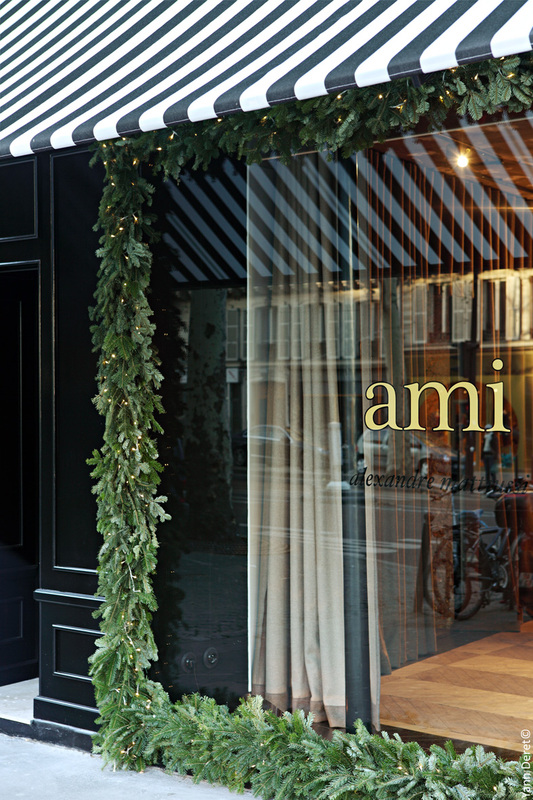 Hip French menswear brand, AMI, has just set up its first shop in Paris' trendy Northern Marais, just a few doors up from bobo concept store, Merci, on Boulevard Beaumarchais. 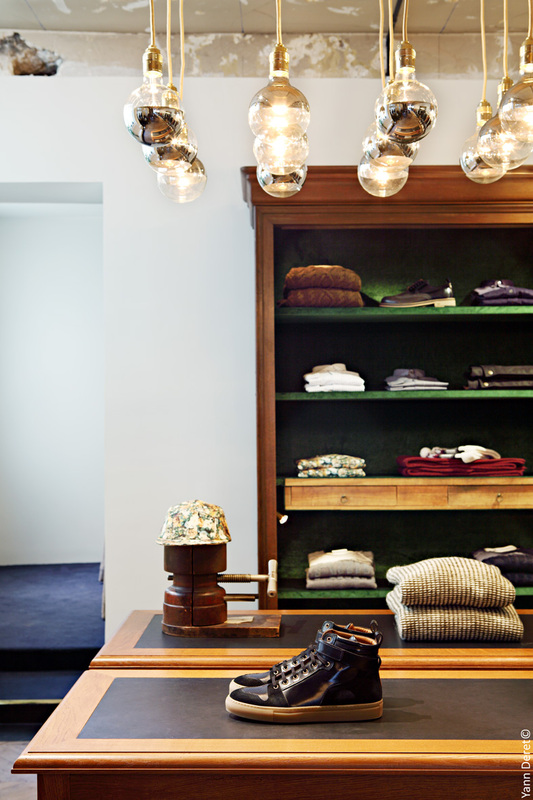 The young ready-to-wear label - launched in 2011 by Parisian designer Alexandre Mattiussi (who previously worked for Dior, Marc Jacobs and Givenchy) - is about wearable, affordable clothes for the modern, metropolitan man. Think leather brogues, chambray shirts, knit cardigans and faded jeans, in a neutral palette of navy, black, beige and bordeaux. 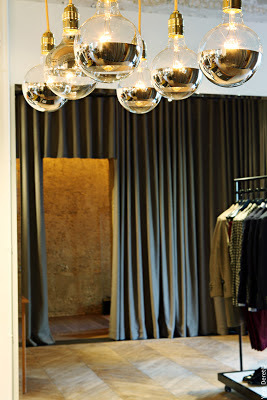 The warm and welcoming 75m2 boutique is part Parisian apartment, part tailor's atelier, with leather-topped oak tables and minimal chrome lights, and, in keeping with the name of the label, aims to recreate a friendly shopping environment for amis of the label to hang out in and discover the collection.